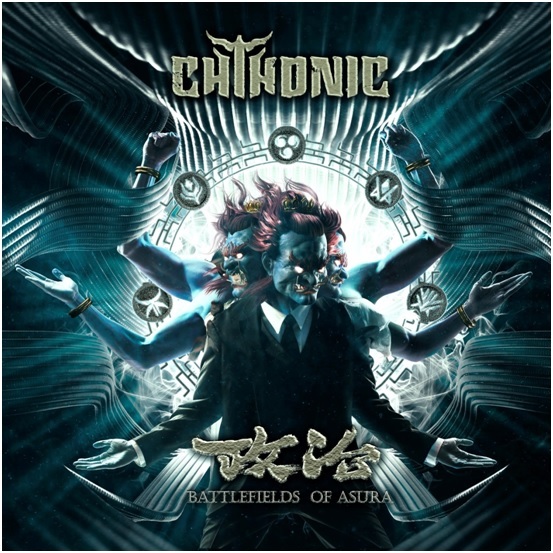 Asia’s strongest and internationally acclaimed metal ensemble Chthonic unleashes their comeback album “Battlefields of Asura” five years after the successful “Bu-Tik”. 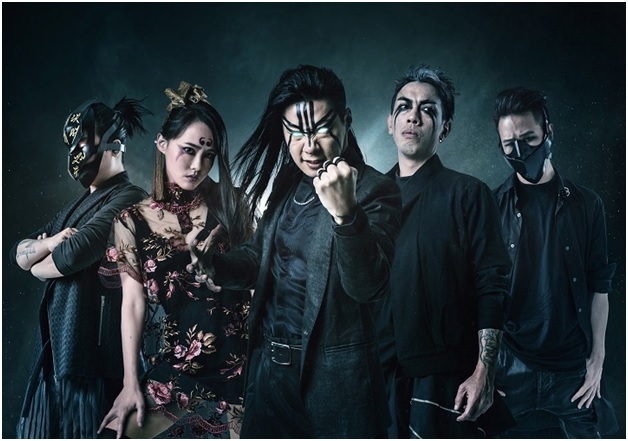 One month shortly after the release, we had the pleasure to have an interview with their main characters Freddy Lim and Doris Yeh which revolved mostly around the latest album and their plans for the following months. MHF: It’s been five years since your last album “Bu-Tik”, and seriously that was a quite long stretch. What took you five years before finally unleashing a new record? Doris: After the 2013 album “Bu-Tik”, we’ve been accumulating inspirations and stories. 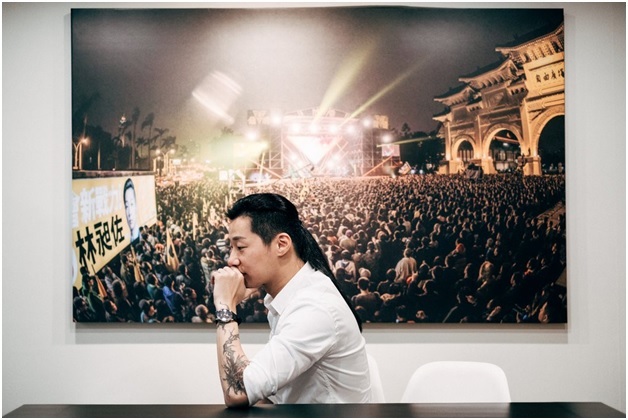 But song-writing was once paused when Freddy was involved in organizing a new political party in 2015 and was elected to the Parliament in the next year. During the Lunar New Year holidays in 2017, we started to continue the writing process. MHF: Still regarding that five years without new album, the fact that Freddy got elected as a member of the parliament added to the speculations in the metal community like “maybe that’s it for Chthonic”, “maybe they’ll retire from touring” and the worst speculation I heard was, “maybe Freddy will soon leave or will be kicked out of the band”. What is your comment on that? Doris: It rarely happened that a member of a metal band got elected as a MP. So even ourselves we are still learning how to deal with this situation. But since we have been in a band for so many years, we are like a family now and we always try to find better solutions together. MHF: Okay now I’d like to ask, how was Freddy able to drop his contributions to the new album while also having a surely hectic job at the parliament? I know for sure that writing and recording is not easy at all, even harder if you are also working as a politician at the same time. Freddy: It just naturally happened. I think what I’ve been through in these past few years have given me a lot of emotions, such as joy, anger, sorrow, frustration, compassion, and courage…etc. And these complicated heavy emotions have accumulated inside me more and more and made me need to express my strong feelings via writing music. So when I’ve found that I would be available during Lunar new year holidays last year, I immediately spent my time on writing, and the process went smoothly like never before! MHF: Let’s talk now about “Battlefields of Asura”. The album can be seen in almost every metal website’s list of “2018’s Most Anticipated Metal Albums”, alongside Behemoth, Deicide, Aborted and many other titanic names. What can you say about that? Doris: We appreciate it a lot! Although it has been five years, metalheads still look forward to our new work so much, thank you! MHF: We already know that there will be guests in the new album, including your close friend Randy Blythe and freedom fighter Denise Ho. Aside from that, what more shall we expect from the album? Freddy: To express the complicated heavy emotions, the arrangement and composition has been bigger with perfect combination in orchestration, traditional instruments and guitars. The traditional Asian composition and metal structure work with each other best in this album! MHF: Who did the cool album art by the way? And what does it symbolize? Doris: Asura is an Asian god who’s always fighting against gods and evils. “Battlefields of Asura” is written in Kanji characters as “修羅場”, and it means harsh battlefields. And [regarding] the art and appearance of Asura which has 3 heads and 6 arms with a modern suit, we think in modern world, many fields of the society are all like Battlefields of Asura. Such as political field, financial field….etc..
MHF: You guys are undeniably the strongest force of metal in South East Asia. Do you think Freddy’s election as a member of the parliament added to your popularity at all? I mean, you’ve already played at Wacken Open Air and Download Festival so you are already internationally recognized, but have you noticed any odd increase in your fan base since Freddy was elected? Doris: Maybe, but I’m not sure. Anyway, if there are some non-metalheads start to learn about the beauty of metal, it’s always a good thing! MHF: Earlier this year, Philippines had Pulp Summer Slam 18, featuring Behemoth, At The Gates, Death Angel etc.. They also had three Taiwanese bands in the lineup, namely “Bloody Tyrant”, “Burning Island” and “Flesh Juicer” which are pretty impressive and brutal. When they were asked about the current status of metal in Taiwan in a press conference, Bloody Tyrant answered that it’s not really that good. They mentioned that metal in Taiwan is treated more like a phase that one time people would like it, and then after a few hits, they easily forget about it. Do you agree with that? Doris: This is a very difficult question. Metal scene might have been growing bigger in a decade ago, but I think nowadays it has faced some difficulties in different regions of the world. Of course, there are many different ways to explain it. But I do believe that metal will recover from the situation and keep moving forward. It always has been like it since metal has been once popular in the 80’s. But metal always keep moving forward to inspire more people! MHF: Do you think Fred’s presence in the Parliament could make a positive change in that? Doris: It’s hard to say. But it’s always a good thing to let more people learn about metal. MHF: Since I’ve already mentioned Pulp Summer Slam, I’ll ask you: Will we witness you come back for PSS 19? In support of your new album of course. Doris: We love PSS! And we would love to be back again. MHF: I’m sure that of course there will be a tour to support your new album. But I’m also sure that Freddy’s job might make it tough. For now, what are your touring plans for the rest of 2018 and for next year? Doris: It almost impossible to do long tours as we did before. But we would still take part in festivals both domestically and internationally, and go for short-term tours. MHF: Lastly, any message to the fans and our readers? Promote “Battlefields”! Doris: “Battlefields of Asura” is an album that carries deep emotions that will reach your souls. We hope you all like it and be ready before we hit Philippines again!